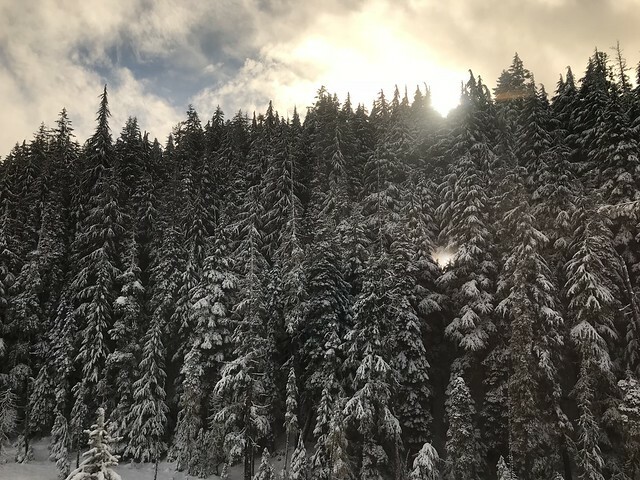 A lot of my friends and Instagram followers have been asking me about my solo trip from Los Angeles to Portland – a trip taken in a 30-hour train ride! So here goes. I have never traveled alone. That must seem obvious, given that I have a twin sister who like me, has an insatiable wanderlust. Together we explore the world – hiking the Great Wall in China, scaling a mountain temple at dawn in Japan, camping in the Sahara desert with Berber nomads, going on a ghost tour around New Orleans. The list goes on and on. It came as a surprise to most people when we said we were going on our first solo trips ever. On a whim I decided to take a 30-hour train ride to Portland. Of course, I’ve taken long train rides before. But I’ve never done that alone. I was a little scared, but that didn’t deter me. 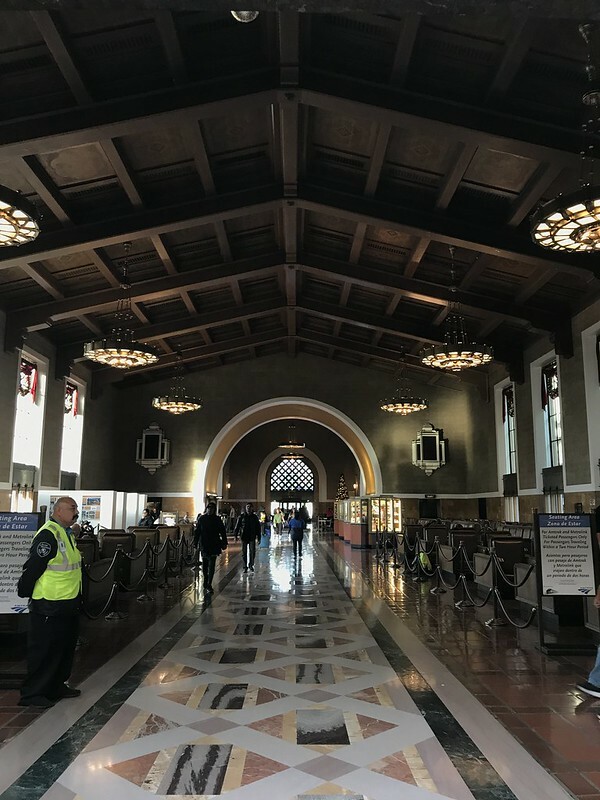 A couple days before Christmas I found myself in Los Angeles’ Union Station, munching on a Subway sandwich and stocking up my backpack with water and non-perishable food. From my previous train trips, I knew that the train’s tap water tasted weird and that bottled water was expensive. Food was equally expensive. I mean, $8 for a tiny frozen pizza? I’d rather eat 99-cent bananas, thank you. Soon enough, I was in my seat, making myself comfortable. The train started to move and the journey began. 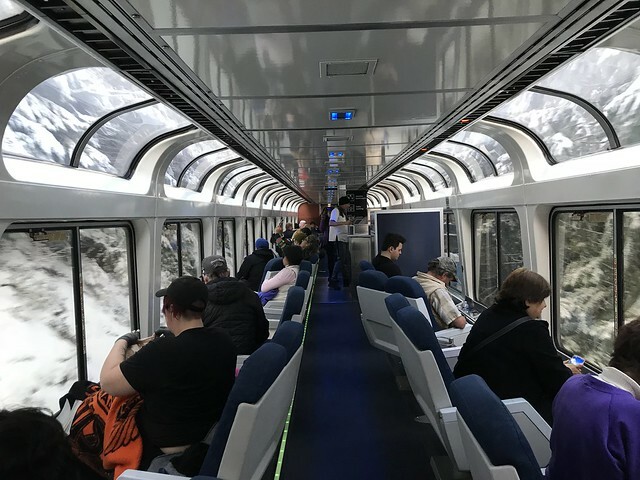 The first thing I did was go to the observation car, where they had floor-to-ceiling windows. Looking outside, I could see the arid Southern California landscape roll by. I spent the first couple hours drifting in and out of sleep. 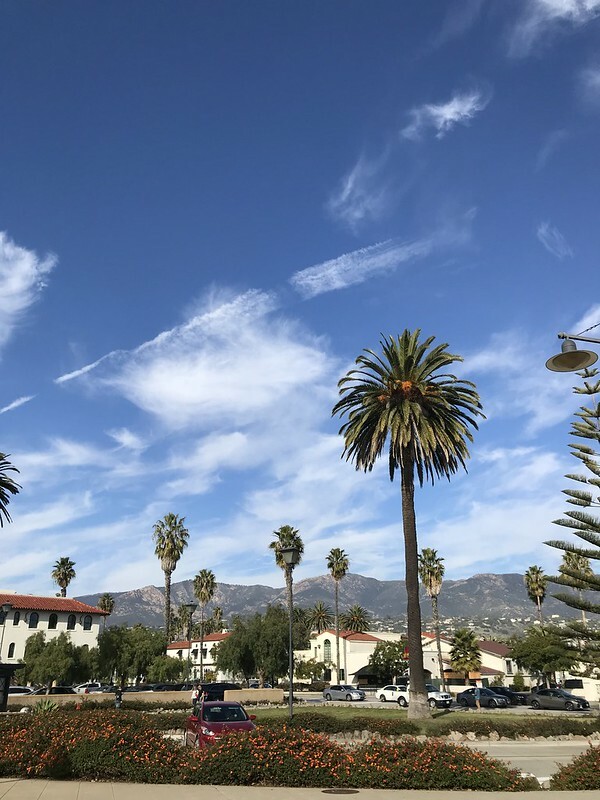 I could see the scenery change little by little- from chaparrals to vineyards to a beautiful ocean view. The train was so close to the water I could almost hear the waves crash against the sand. Not long after, the sun set. People started leaving the observation deck, but I stayed. I could only see shadows and a hint of stars in the sky, but I had my book and I enjoyed the peace and quiet. An hour or two passed and I started feeling hungry. Remember the bananas, bread and protein bars that I was sure would last me to the next day? They were all gone. 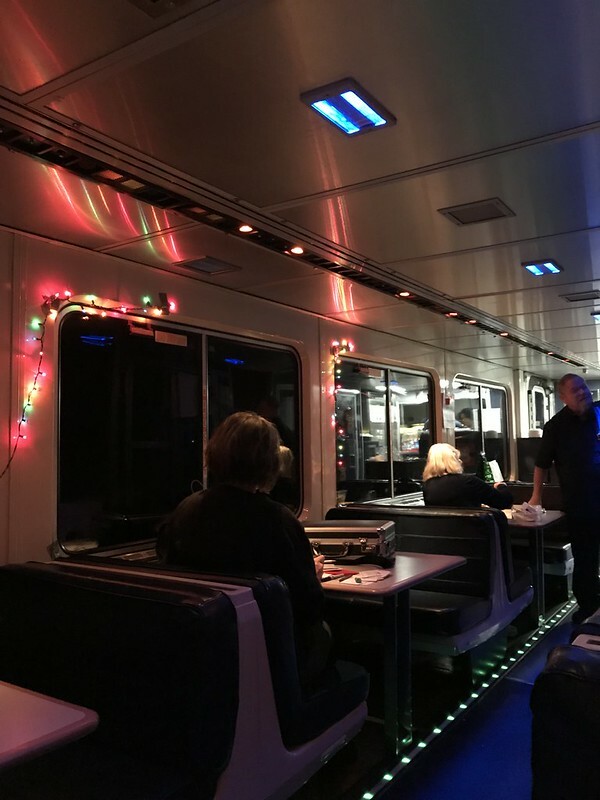 So I went downstairs to the dining car where they had a little café all decked out in Christmas lights. I bought a cup of ramen- three times the usual price, mind you- and tried to find an empty table. There was none, but I asked a grizzled old man if I could join his table and he graciously said yes. He asked me if I wanted a slice of his pizza, as he couldn’t eat any more. I gladly accepted, and we started talking. His name was Robert, and he was a retired old trucker who was on his way to Eugene to visit his brother. I told him about my life in Los Angeles, my plans in Portland, and how this was the first time I took the train by myself. Soon enough, other people in the dining car joined in. I met James, an actual cowboy who taught me about hat etiquette (remove your hat when introducing yourself to a woman, he said). We talked about life, about politics, about love. We shared rude and offensive jokes. We discovered that we were all different people leading different lives, but despite all that we were there together, in that dining car, singing Country Road to Radio Man’s lousy guitar playing. 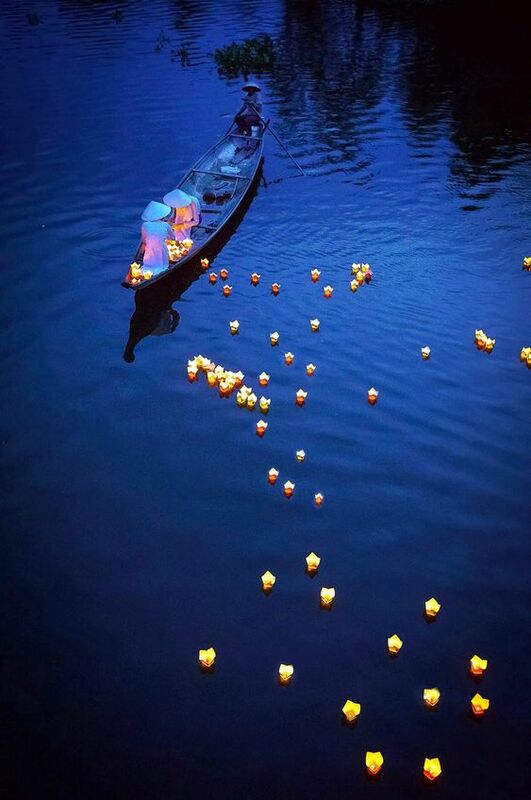 One by one, they left. I bade Patrick goodbye, as he was one of the last ones there. He smiled and told me he liked my “zest for life.” I thanked him and went back to my seat to sleep. Luckily the Amtrak chairs were long, so I could lie down comfortably. It was barely dawn when I woke up. I went to the observation car yet again and saw the sun rise above Mount Shasta. 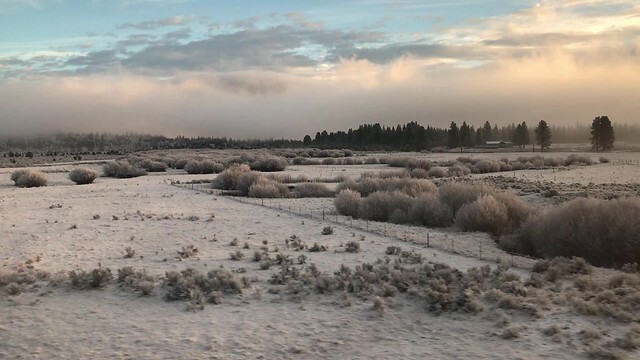 As the train chugged along I could see ice and snow covering everything outside like a soft, white blanket. The train went in and out of several tunnels, and a bespectacled lady next to me told me to look on the left side at the end of every tunnel. You’d see a waterfall every time, she said. And sure enough, she was right. Hours and hours passed, and finally we pulled up in Portland’s Union Station. 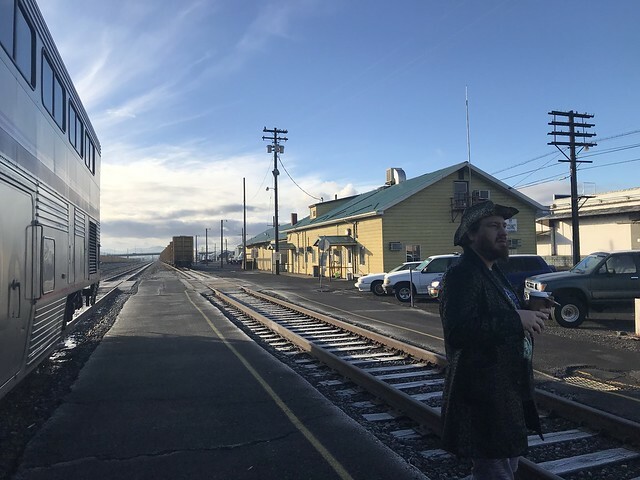 My train adventure had ended- but boy, was it an adventure. Despite the tiny bathrooms, the expensive frozen foods, and no showering for 30 hours, I enjoyed it. The views were beautiful, and the people were interesting. I think being by myself really shaped this trip into an interesting adventure unlike any other. Had I had a companion, I wouldn’t have talked so much to other people. I wouldn’t have been so open to sharing my life story with complete strangers. I wouldn’t have spent hours just looking outside, my thoughts swirling in my head. It wouldn’t have been the same. Would I start traveling solo from now on? Probably not. I like having someone to talk to, to share my experiences with, and to take photos of me. But was I glad I took this solo train ride? You bet I did. I wouldn’t have done it any other way. 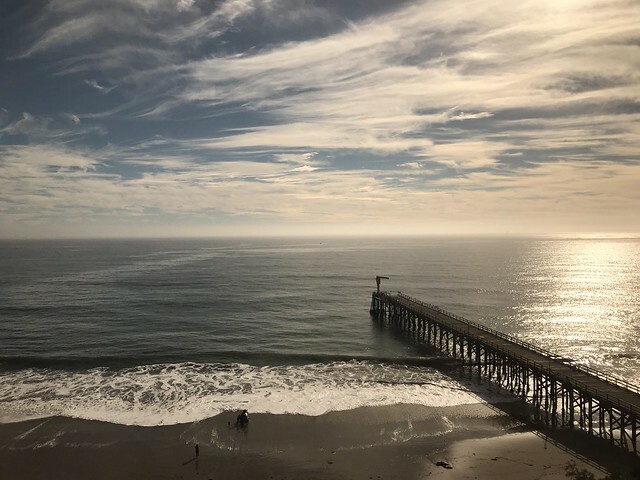 This entry was posted in Destinations, People and Culture and tagged america, amtrak, los angeles, nature, photography, portland, train, travel, usa. Bookmark the permalink.